Posted on September 24, 2018 September 25, 2018 by Meghan Barlow, Ph.D. When parents have a concern about their child’s mood, behavior, or school performance, they often ask themselves some version of, “should I actually worry or is this just a normal phase?” They try to figure out, “is it bad enough to actually talk with someone, or do we just wait and see?” If you find yourself wondering those things, asking yourself the following questions may help you reach some clarity and figure out a course of action. How much does the problem interfere with my child’s functioning? When I consult with a family, I’m always considering how much the problem gets in the way of the child doing all of the things that his or her typical peers do. 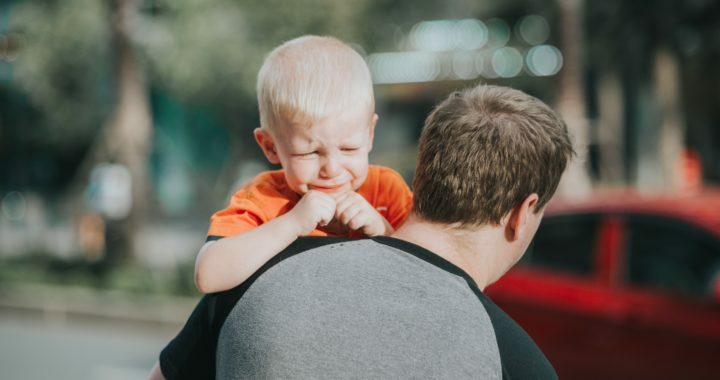 For example, is your child’s worry (or inattention, anger, inflexibility, organization, etc) stopping him from engaging socially, going to school, getting his work done, sleeping, or independently managing tasks that most of his peers are able to manage? If you’re noticing that the issue at hand prohibits or restricts your child from doing many of the “jobs” (which includes recreation!) that others his age are doing, it may be time to check in with a professional. How much does the problem interfere with my functioning (or the family’s functioning)? Similarly, if your child’s mood, behavior, or school functioning is getting in the way of you being able to do all of the jobs (including recreation and self-care!) you need to do (i.e., providing attention to your other children, going to work outside of the home, socializing with your friends, running errands, sleeping, maintaining limits and structure within the home) it may be helpful to seek out the guidance of a professional. Is the problem interfering with my child’s ability to learn? One very important “job” that children and teens have is learning. I think very specifically about how a child’s worry, inattention, mood, social skill deficits, organization, frustration tolerance, or academic struggles impacts her learning. If the issue you’re concerned about comes up so frequently or intensely that she is unable to go to school, complete her school work, or notice, process, and comprehend all of the many pieces in an academic task, it makes sense to seek help. Communicate your concern to your child’s teacher. The school should be able to provide information, perspective, support, and recommendations for you and your child. They might suggest that you discuss your concerns with your child’s pediatrician or a therapist. Has my child asked for help? Some children and teens will actually ask their parents for help. They may relate to the symptoms a friend or favorite character experiences. In this digital age, many kids google checklists or take quizzes for various conditions. They may feel out of control and verbalize that to you. If your child has asked for help, it is important to take that request seriously. At the very least, responding to your child is positive reinforcement for being open with you and sends the message that you hear her. It’s also important because therapy is more efficient and effective with a motivated participant. How much is this problem negatively affecting my child’s view of himself or herself? Your child may not be talking about getting help, but if she is frequently talking about how “dumb” she is or how he “hates himself,” it is a good idea to consult with a professional. When kids feel ashamed, damaged, out of control, or hopeless because of their problem, they would benefit from getting some help. First, developing an understanding of what’s getting in the way of their functioning and then learning skills and tools to help them improve their functioning will be important in preventing additional problems (i.e., depression, substance abuse, anxiety). There is a very wide range of what is “normal.” Sometimes it really does take a professional’s bank of knowledge and perspective to help you understand if your child’s problem is interfering with their functioning and, if so, how much. Even if what your child is experiencing is “normal,” they (and you) can still benefit from some suggestions for how to improve, cope, or problem solve. Think of a visit with the pediatrician or therapist as a consultation. You are seeking their input, and you (and your child) get to decide how to proceed (if at all). Some families benefit from just carving out the time to talk, reflect, and problem solve and don’t need much more than that. Other times, a consultation will provide an opportunity to identify potential causes of a problem and can yield recommendations for skill building, coping, and putting appropriate supports in place.